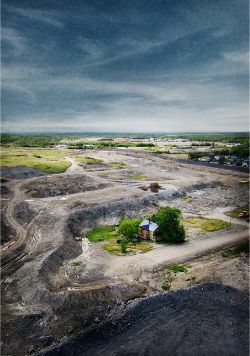 **A skewering analysis of the the ways in which Canadian mining companies have put profit before people and the environment. This screening is a special collaboration with QPIRG Concordia's Disorientation. "Don't know much about mines? Not many people do. Mines don't talk. Especially about their history." THE HOLE STORY is a film that sounds the alarm about mining. In a country rich in mineral resources, mining companies have historically paid little tax, while local municipalities bear the financial burden of building andVmaintaining the roads they use to truck their wealth out to other countries. Some films are essential viewing - THE HOLE STORY is one of them.